Barco’s MDSC 8255 is a 55-inch surgical display purpose-built for ultra-high resolution, multi-image viewing in the digital operating room. Thanks to its high quality video performance and lightweight housing with shallow depth and thin bezel, it’s the ideal complement of any advanced video distribution system in the OR. A future-proof choice for referral imaging in the OR, the MDSC-8255 can present information previously shown on four 27” monitors on one large screen, with all four images in full HD. Thanks to the integrated 4K decoder (optional) it offers seamless integration with Barco’s Nexxis video-over-IP solution. With its protective front glass, shallow depth, thin bezel and light weight the MDSC-8255 is perfect for wall mounting. Also available without protective glass for in-wall installation. Color-calibrated, artifact free images in 4K resolution: the MDSC-8255 presents surgeons with accurate, realistic images and excellent depth perception. 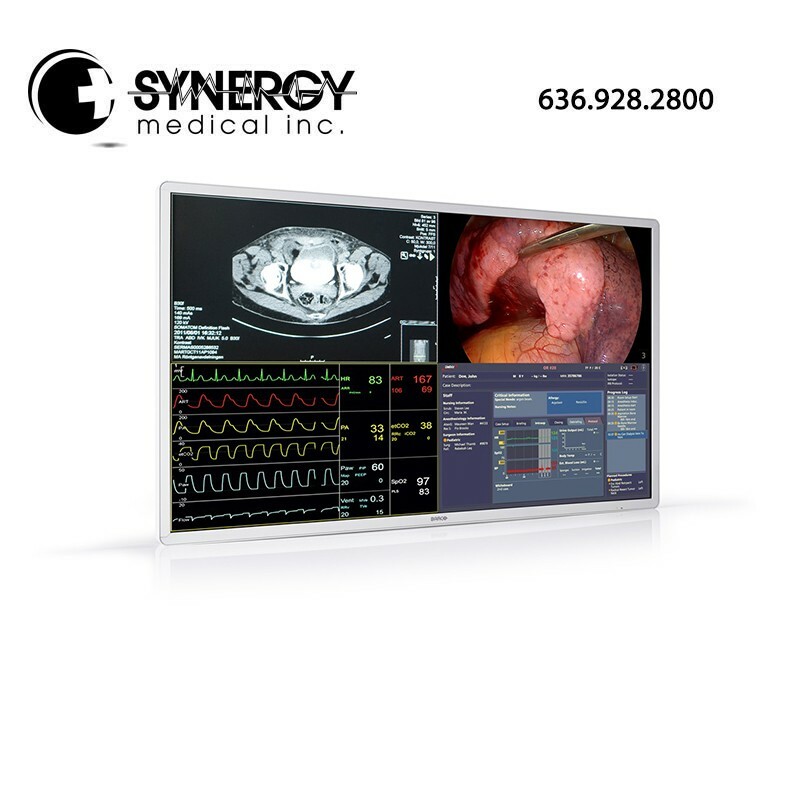 Advanced video processing features and noise reduction algorithms, and a full 10-bit image processing chain make this display ideal for consultation of any kind of medical referral images inside the OR. Operating: 10% – 90% R.H. Storage: 5% – 90% R.H.